Owner & President | ACP Sheet Metal Co., Inc.
Nathan Dills, president of ACP Sheet Metal Co. Inc., Oklahoma City, Okla., is President-elect of SMACNA. Mr. Dills has been actively involved in the industry on the local and national level for years. He most recently served on SMACNA’s Board of Directors from 2011 to 2015 and its Executive Board since 2015. Currently, Mr. Dills serves as co-chair of the SMACNA/SMART Best Practices Market Expansion Task Force, chair of the Fire, Smoke, and Radiation Damper Task Force, and is a member of the Director Nominating Committee. 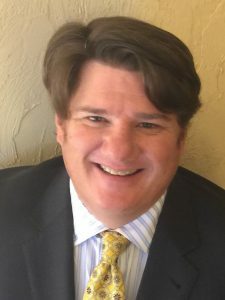 He served as chair of the Webinar Task Force and on the Business and Financial Management Committee as well as the Round Industrial Duct Construction Standard Task Force. A member of the Sheet Metal Contractors Association of Oklahoma, Mr. Dills served as chapter president and in all the chapter officer chairs. He is a member of the Joint Apprentice Training Committee (JATC), and served on the Education, Grievance, Program, and Negotiations Committees. A member of the Oklahoma Bar Association, he received his law degree from Oklahoma City University School of Law in 1995. He graduated from the University of Central Oklahoma in 1992 with a bachelor’s degree in political science.